So you have taken the first step to opening your business and you have decided to make it a Corporation or Limited Liability Company. There are many companies out there that offer incorporation services, so how do you know which one is the right one for you and your business? These nine steps will help you make an informed decision about the incorporation company you choose, so you can avoid the pitfalls of incorporating with the wrong one. Just because an incorporation company has a web site doesn’t mean that it is a legitimate business entity. There are many “incorporate.com” companies online that are simply that, a web site. You should thoroughly research the company you are thinking about using to incorporate your business to make sure they are a formal business entity (corporation or LLC). You can investigate a company by contacting the Better Business Bureau and State Attorney’s Office where the business is physically located to find out if any complaints have been filed against them. You can even go as far as to look up their business license to verify that it is current. Business licenses can be verified with the state in which the business is operating. Businesses like to place their business affiliations and organization membership logos on their website and other marketing material. Often times this helps to relax potential customers because it makes customers feel like they are working with a legitimate company. It is very important that you take these memberships at face value and dig a little deeper to verify that this company is actually a member of these organizations. For example, when you see the Better Business Bureau logo on a web site, you probably breathe a sigh of relief. Take a few minutes to contact the Better Business Bureau via phone or online to verify the company’s membership status and to make sure that there haven’t been any complaints filed against them. It will take only a few minutes of your time and can save you a huge headache in the long-run. Many organizations have stringent guidelines that a company must adhere to in order to become a member. For example, the local chapter of the Chamber of Commerce may require that the company provide a copy of their business license and occupational license, in order to ensure the company is a legally operating entity. These types of procedures are for the protection of the consumer, so utilize the public information available to you and verify everything! Be sure to place your order with US companies. The US has security laws that protect the consumer from having their information distributed or used inappropriately. If you happen to deal with a company that looks like an American business, but actually operates from abroad then you could be putting you and your company at risk. The last thing you want is your credit card information to be sold in a foreign country. Many incorporation companies advertise and promise you low fees, but they actually place a mark-up on the state filing fees in order to make a profit. Find out if the incorporation company will provide you with a receipt directly from the state. This way you will be able to verify that what you were charged for the state filing is actually what it cost. If the incorporation company will not provide this to you, then they probably have something to hide. With the growing concern of identity theft, it is important that you deal only with web sites and companies that provide you a strong guarantee about the way they are going to protect your personal information. Make sure that if you are providing credit card information online that you are providing it on a secure server. Even if you are giving the credit card or personal information over the phone, inquire as to what the company will do with the information after your order is processed. Keeping your information on file could put you at risk. Make sure that they have some sort of policy that deletes your information after it has been used in filing your incorporation order. What if something goes wrong with your transaction? 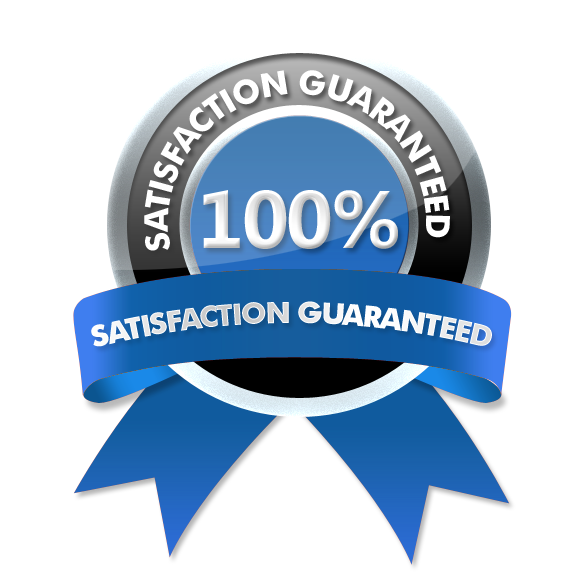 Verify that the company provides you with some sort of satisfaction guarantee, or money back guarantee. This way if something is to go wrong, you won’t find yourself out of money and without your business incorporation documents properly filed. Be sure to do business with companies that deal directly with the state where you are going to incorporate your business and not through other incorporating companies. Intermediaries will not give you the timely response that you deserve. Again, just because a company has set up a web site to provide incorporation services, it doesn’t mean they have the expertise to perform professionally. Before placing you order, send an email or make a phone call to the company you are thinking about using. See how long it takes for them to respond to your inquiry. This will give you an idea of how responsive they are to your needs and it also allows you to indirectly gage the overall professionalism of the company. Make a list of all of the services that you wish to receive and compare the prices for these services on 3 or 4 different companies. Try not to let yourself be lured into using a company because they offer a low fee on one service. By totaling all of the services you will need, you will be able to see what the total cost to you will be and choose the one that is most cost effective. Follow these nine steps carefully in choosing your incorporation company and you will be well on your way to success. Happy incorporating and good luck with your new business!